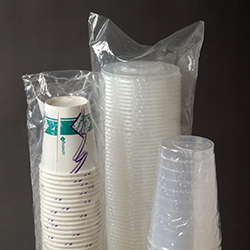 Lap seal wrappers place a nearly invisible overlap seal under the package making a very attractive package while using the minimum width film. 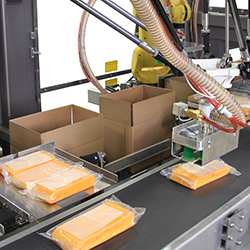 Lap sealers use flat or single wound film which is pulled over a forming plow, overlapped under the package and sealed by use of either a static or thermal seal. As the products flow through the former, they are encapsulated in a continuous tube of film and cut apart downstream by the end seal device. 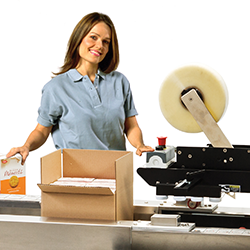 Lap sealers are most popular in applications which call for long runs of constant-sized products because each product requires an individually-sized plow and a specific width of film to be stocked. 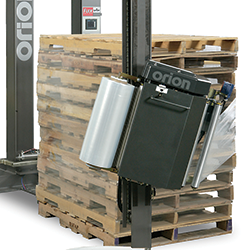 The 1407LS is Texwrap's latest design advance for applications requiring the moderate speed wrapping of packages where a lap seal is desired.